Monday and Tuesday began with welcoming remarks from Steve Nunn, President and CEO of The Open Group. The plenaries featured excellent keynotes by speakers from companies including Oracle, Capgemini, Lufthansa, Intel, Merck, Delegata, and The Open Group. The first day started with Chris Forde, General Manager, Asia Pacific Region & VP, Enterprise Architecture, The Open Group, who went into depth on the reasons why more industries are embracing Open Standards and Reference Architectures. Chris Jennewine, Senior Director, Service Availability Management, Oracle, was the next speaker of the day. He explained how The Open Group IT4IT™ standard is helping to drive organizational efficiencies within Oracle and how the company is applying the IT4IT™ reference architecture in its shift from traditional IT to a DevOps organization. Later that morning, several speakers from Lufthansa and Capgemini discussed why CIOs need an industry specific reference architecture, the second most concrete of the four reference architecture types on the architectural continuum. Together with Lufthansa, Capgemini developed an industry-specific reference architecture for aviation last year, which has been certified by The Open Group and is now available as an industry standard. The morning concluded with a plenary from Pallab Saha, Chief Architect, South Asia, The Open Group. The session described the context and background to the development of India Enterprise Architecture (IndEA) along with its components as an architecture construct. The vision of IndEA is to enable one government, with adequate space to accommodate diversity, dissonance, discourse, discord and divergence – key elements of India’s national fabric – within the constitutionally guaranteed federated structure within the country. Partner presentations from Erik van Busschbach, Global CTO Professional Services, Micro Focus, and Jerrod Bennett, CEO, Dreamtsoft, took place over a busy lunchtime. Monday’s afternoon tracks focused on Standards & Reference Architectures and IT4IT™ in Practice, as well as several Members only meetings for Forums of The Open Group including ArchiMate®, Architecture, and Open Trusted Technology. On Tuesday January 30, The Open Group officially announced Micro Focus as our newest Platinum Member! Micro Focus joins the other Platinum Members who are leaders from across the technology industry – DXC Technology, Fujitsu, Huawei, IBM, Oracle, and Philips. The morning continued with a deep dive into The Open Group Open Process Automation™ Forum with Eugene Tung, Director of IT, Merck & Co., and Darren Blue, Director of Software Defined Industrial Systems, Intel. The Forum seeks to create a technologically appropriate, open standards based architecture and specifications for the Process Automation Industry. The Open Group also recently published The Open Process Automation Business Guide. Spokespeople from Delegata rounded off the morning with an insightful plenary on Enterprise Architecture and Millennials – how they can be just what your EA team needs to stay relevant and accelerated in a knowledge economy. The session explained how the most senior Architect is able to leverage a millennial to increase personal productivity and do better Enterprise Architecture. After partner presentations from Orbus Software and BIZZdesign, the afternoon’s tracks were focused on Enterprise Transformation and The Open Group Open Platform 3.0™. These included sessions from Praveen Kumar, Consultant, IT Architecture, Nationwide, and Elizabeth Koumpan, IT Architect, IBM Canada. Tuesday concluded with a fantastic reception at the San Diego Wine and Culinary Event Center. Wednesday, January 31, was another busy day with many workshops (Digital Practitioners, Business Architecture Professional Development, Open FAIR™ Standard), TOGAF® and ArchiMate® User Group Meeting moderated by Chris Forde, and Forum Member meetings. 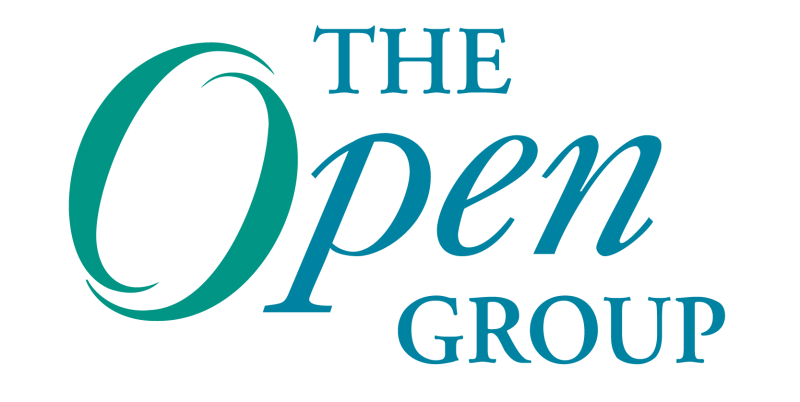 Also on Wednesday, The Open Group announced the first e-book published by The Open Group Press – Managing Digital: Concepts and Practices – authored by Charles Betz, Adjunct Professor at University of St. Thomas and industry analyst. The final day of the event, February 1, was focused primarily on Member only meetings as well as an ArchiMate® 3.0 Foundation Training. Proceedings for Members and event attendees can be found here. Read tweets and see photos from the event – @theopengroup #ogSAN. Also, the full agenda is at http://www.opengroup.org/sandiego2018. A special ‘thank you’ to all of our sponsors and exhibitors: BizzDesign, Micro Focus, Orbus Software, Association of Enterprise Architects (AEA), Dreamsoft, Van Haren Publishing. Tremendous thanks to all who attended and to The Open Group staff who produce these events – whether on-site or behind-the-scenes! Check out The Open Group upcoming calendar of events here. Be sure to also follow The Open Group on LinkedIn. Loren K. Baynes, Director, Global Marketing Communications, joined The Open Group in 2013 and spearheads corporate marketing initiatives, primarily the website, blog, media relations and social media. Loren has over 20 years experience in brand marketing and public relations and, prior to The Open Group, was with The Walt Disney Company for over 10 years. Loren holds a Bachelor of Business Administration from Texas A&M University. She is based in the US.